This tour we started at Windmill with some food and beer. Windmill has only one beer on tap which is more of a regular lager but with some more taste. 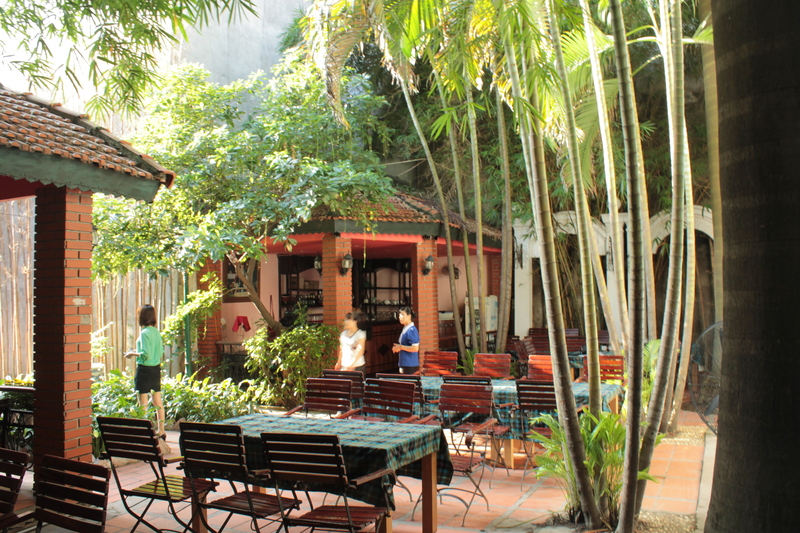 Windmill has one of the coziest gardens with palm trees and only a few tables for maximum 50-60 customers. This tour was on a Friday which means a big difference from the previous calm Wednesday brewery tours. 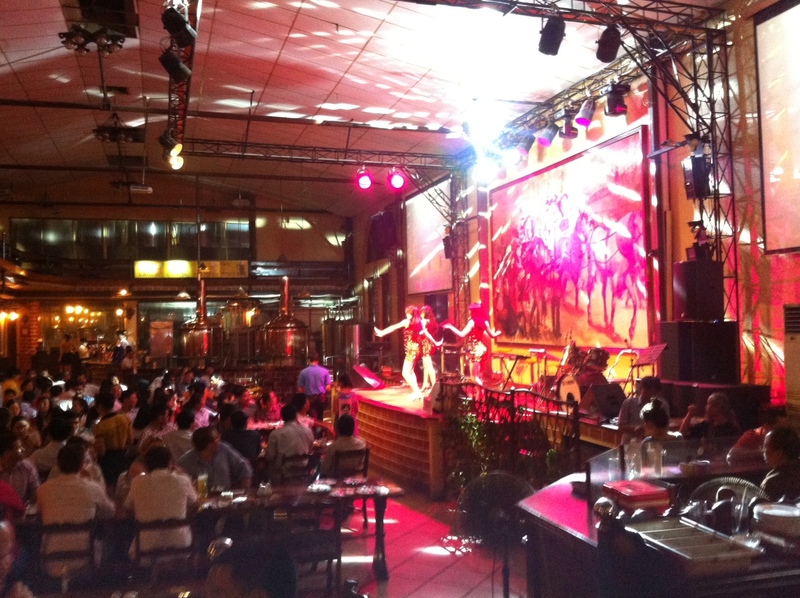 When we came to Legend beer at Vu ngoc phan, there were hundreds of people, live techno music and other forms of performances on the stage. Luckily we didn’t listen to the beer, that had been impossible due to the high music volume. They had one black beer with a light note of liquorice but otherwise with a quite light body and not really well structured. The blond beer was a light lager with some extra hops in it and probably around 4% alcohol, of the two beers, the black one was to prefer. 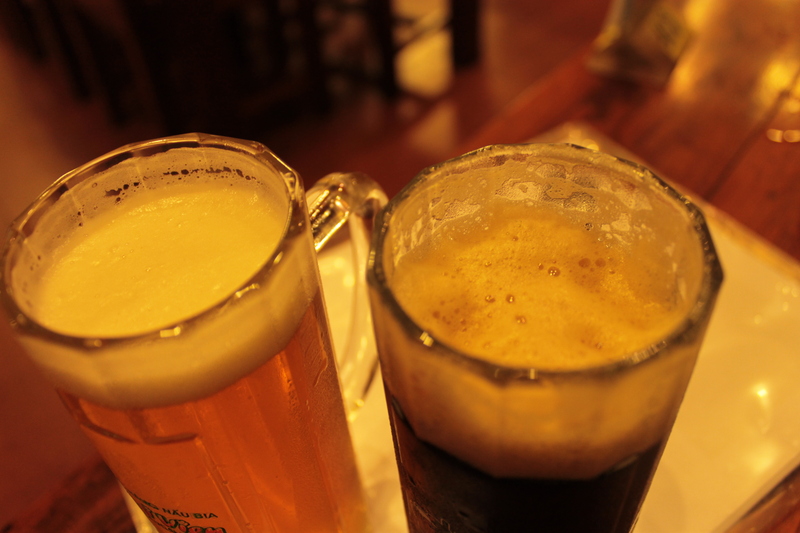 From light bodied to full bodied, we went directly from Legend beer to Mai Vien Brauhaus without stopping at the burger king close by. As always mr Tin, the owner, received us well and let us taste some fresh beer directly from the tank. Every visit should be like this, its not so much more to say, the beers at Mai Vien Brauhaus is really well balanced and tasty. Instead of visiting Goldmalt in Van Phuc, this time we went to Goldmalt at 65 Ngo Thi Nham and drank their blond beer only because the black beer was out.Their brewery is in a middle of a junction and better after 8 pm when its less traffic. Crispy jelly fish salad was a good snack to the beer. 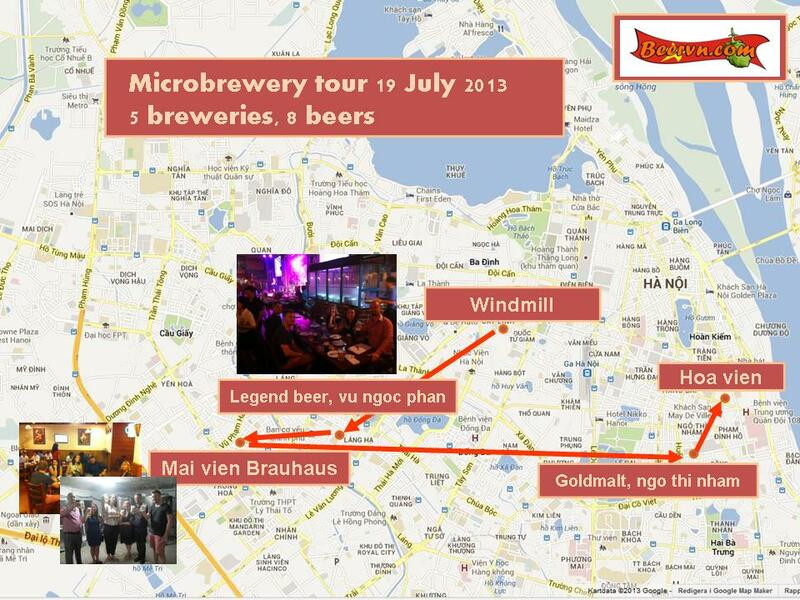 If you visit one of the six Goldmalt breweries in Hanoi you will get always get a good beer, there are differences between them but their beer are overall stronger and more full bodied than many others. Fried cheese at Hoa Vien is always delicious, service level is high and we are always well received here by the staff. Despite the late hour and almost no customers, they opened the kitchen so we enjoy the fried cheese with their two beers. 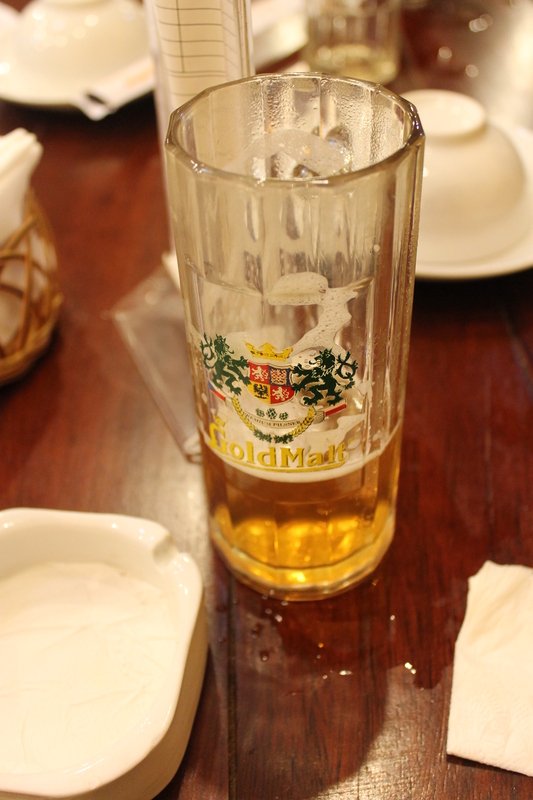 Best beer today was at Mai vien brauhaus again. Best food at Hoa vien.